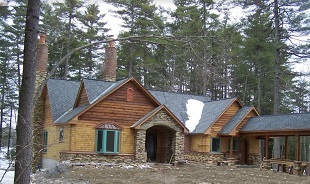 Ray Builders is a 3rd generation Ellsworth Maine Builder and General Contractor that has specialized in custom homes and remodeling for more than 50 years. 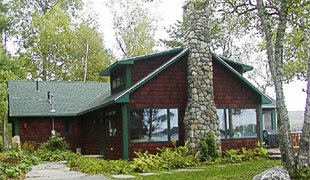 Founded in 1964 by Robert Ray, Ray Builders has constructed more homes in Eastern Maine than any other builder and along the way earned a reputation for quality, integrity and great value. This success is the result of a culture that Robert Ray instilled in his employees and his family from the beginning, that his customers would always receive exactly what they wanted at a price they could afford. Today Roberts’s son and grandson continue the same traditions that have made Ray Builders Inc such a respected and sought after builder. As an experienced custom home builder, they are able to deliver unmatched quality and service whether you are building a starter home or your dream vacation home. The Ray family knows that building your new home takes more than good construction skills. Listening, planning and understanding the project before it starts, and effectively communicating the information to the team of craftsmen and subcontractors, is critical to a successful project. Ray Builders has the knowledge, people and technical expertise to bring each customer a special and unique experience. With unmatched customer service they will guide you through every aspect of the building process. Their focus and attention to even the smallest detail will result in a perfect custom home building experience from foundation to finish. 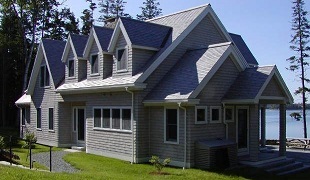 Ray Builders has three decades of experience working in Maine homes and they understand the challenges and opportunities of each and every renovation project. 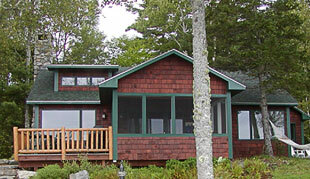 With over 50 years of experience remodeling Maine homes they understand the need to be flexible and creative in dealing with the issues of structural integrity, aesthetics and cost. Their goal is to help you make changes to your existing home that will match perfectly with your lifestyle. Upgrade a room, add a wing or a second floor, Ray Builders will provide the same level of exceptional customer service and dedication to quality that they are known for. Call for a free consultation.